Established in 1940, Davenies School is a collection of listed and modern buildings set around historic gardens. The project involved the replacement of a series of 1980s buildings with a single sympathetic extension to a listed school building. 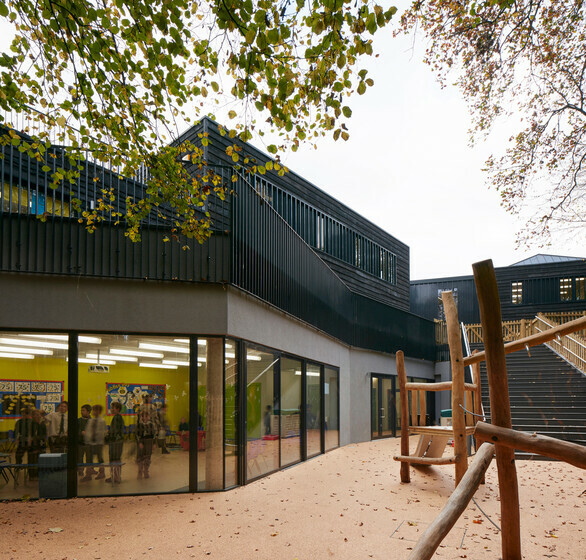 The new teaching block was constructed offsite using cross-laminated timber (CLT), with exposed wooden elements as the internal finishes. 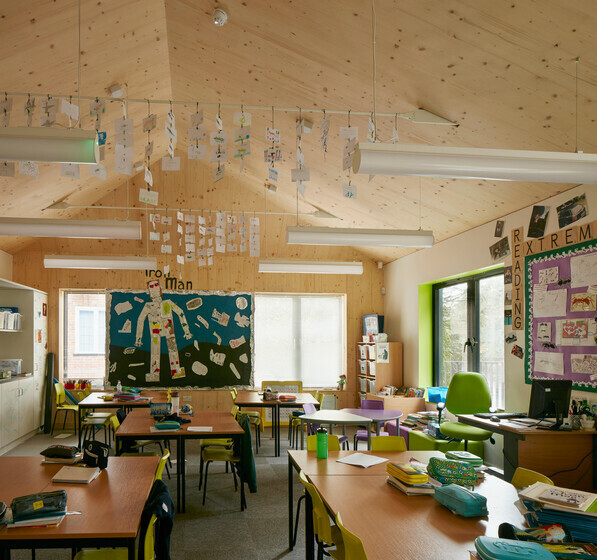 All teaching areas are naturally ventilated using chimneys driven by the stack effect, while additional CO2 sensors alert classroom occupants to rising levels so they can open the windows to supply fresh air. This ensures optimal learning environments at all times. Passive design measures were considered from the outset with the external envelope exceeding the performance requirements identified in Part L, and a low air leakage rate achievable because the CLT was cut offsite in factory conditions. The building has been well-received and won RIBA South and RIBA National Awards in 2016.